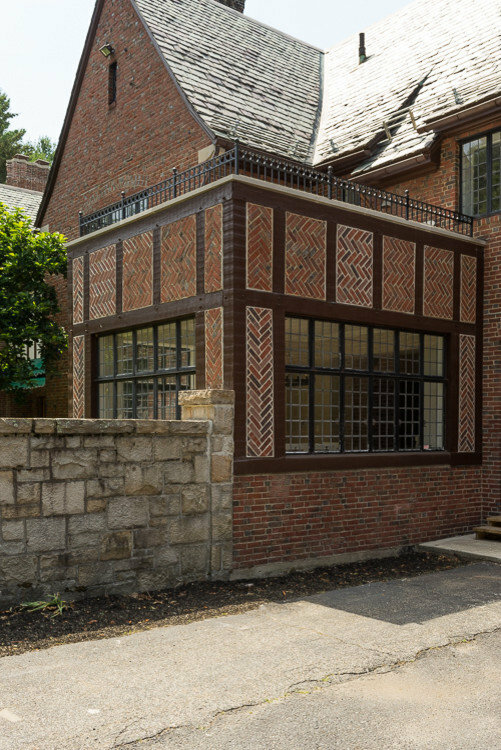 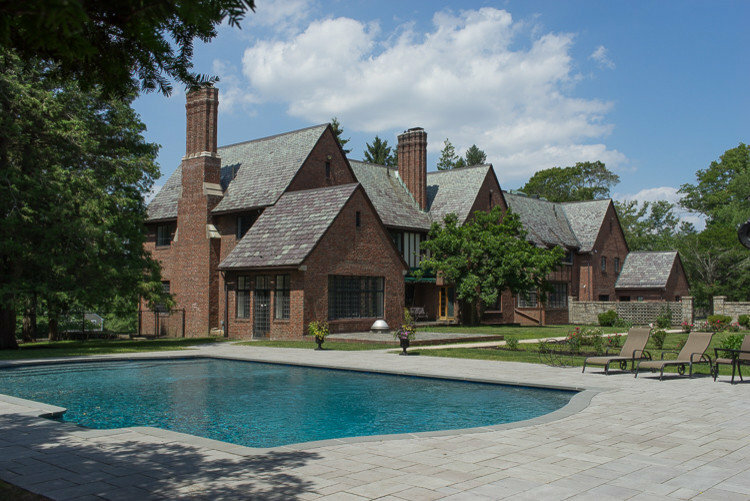 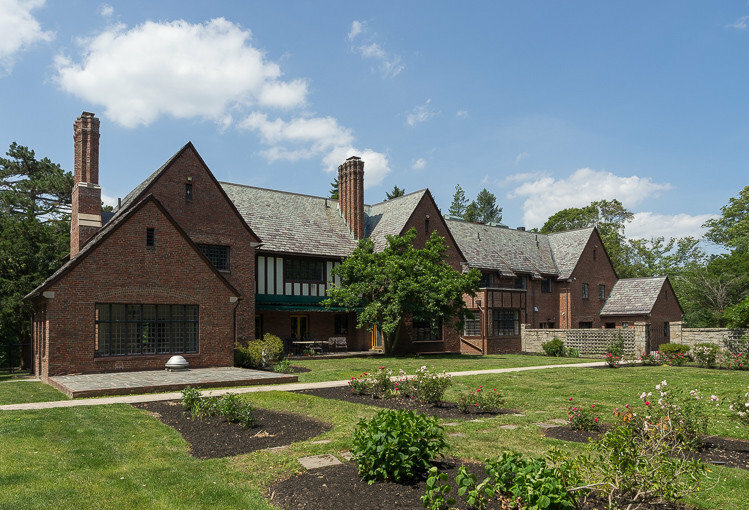 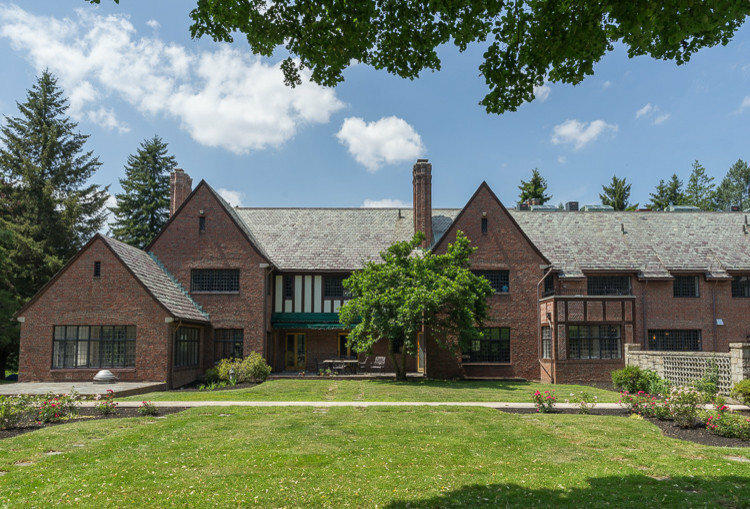 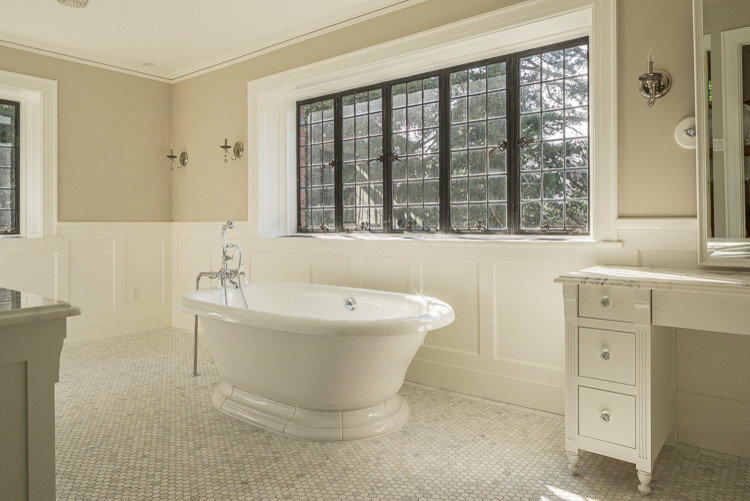 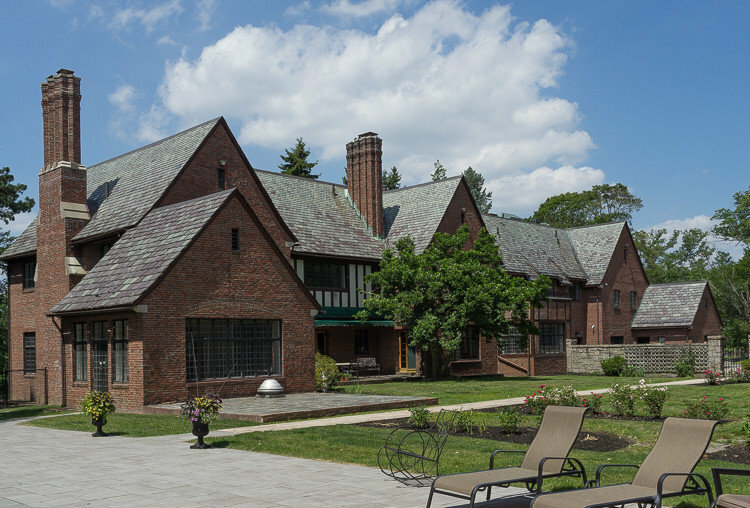 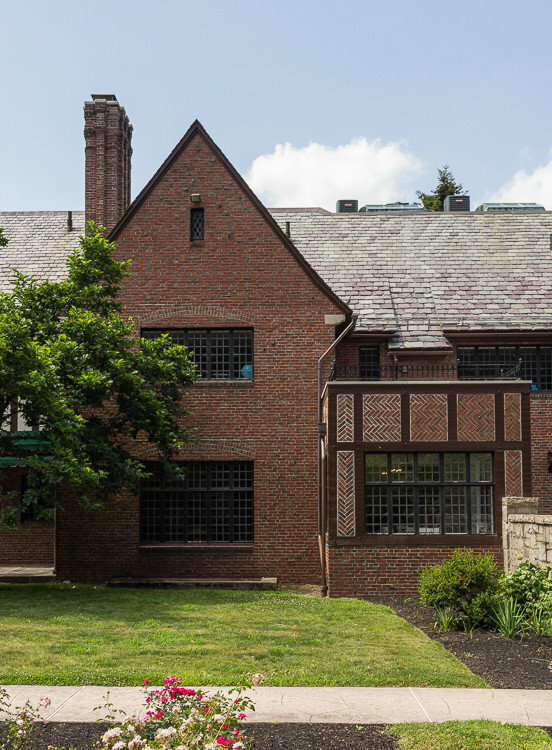 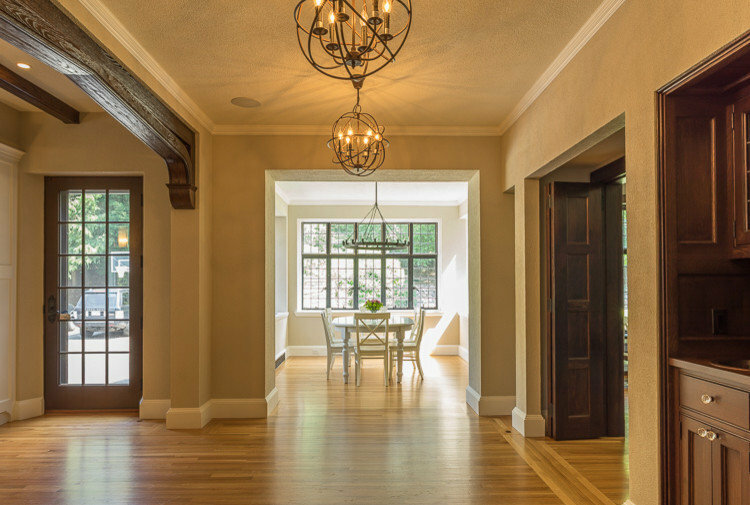 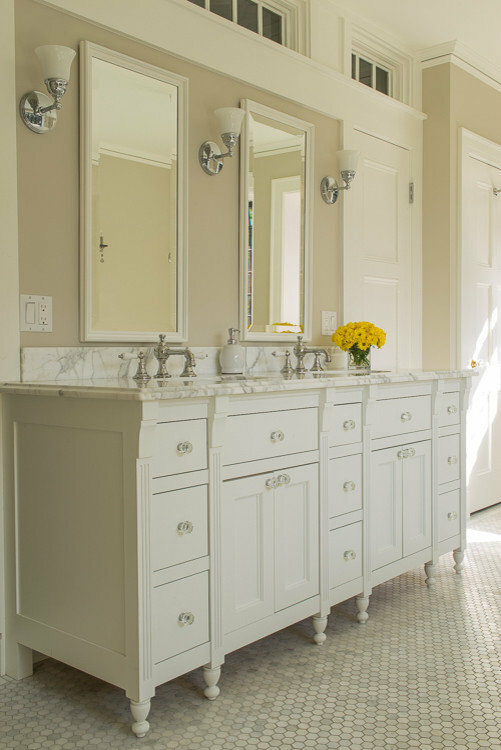 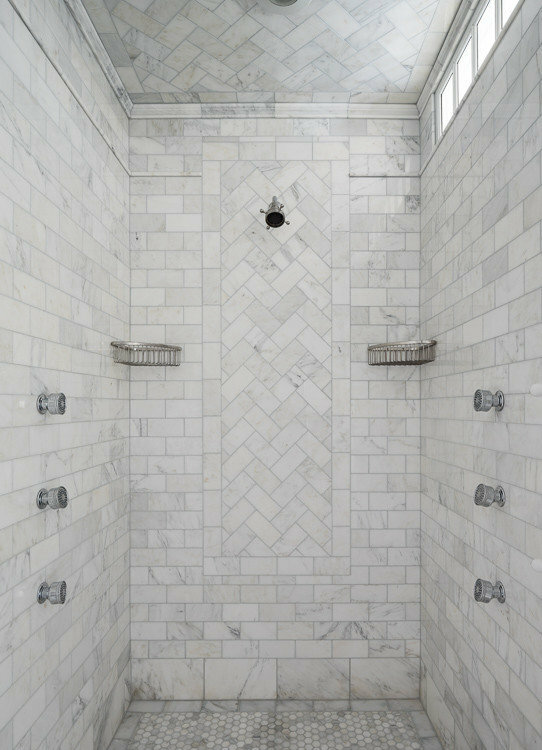 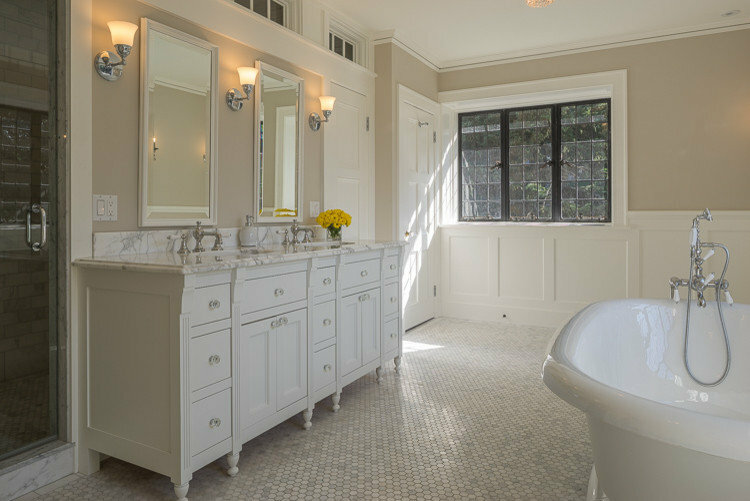 Major whole house restoration of 16,000 SF Tudor style estate. 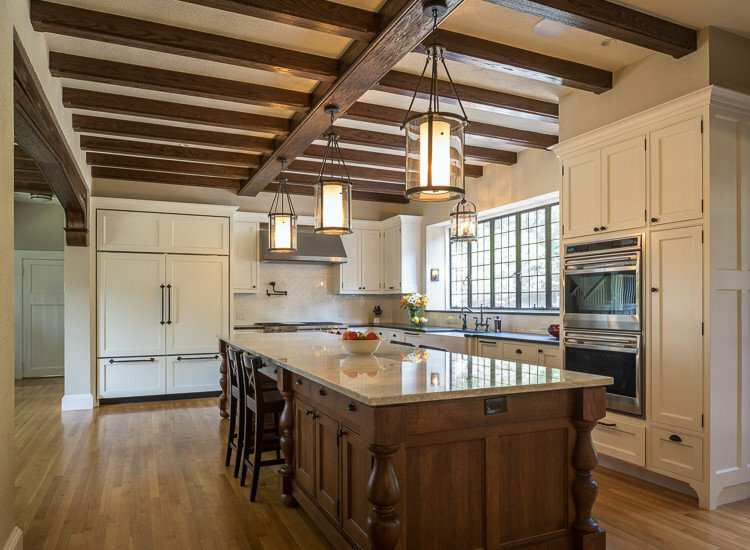 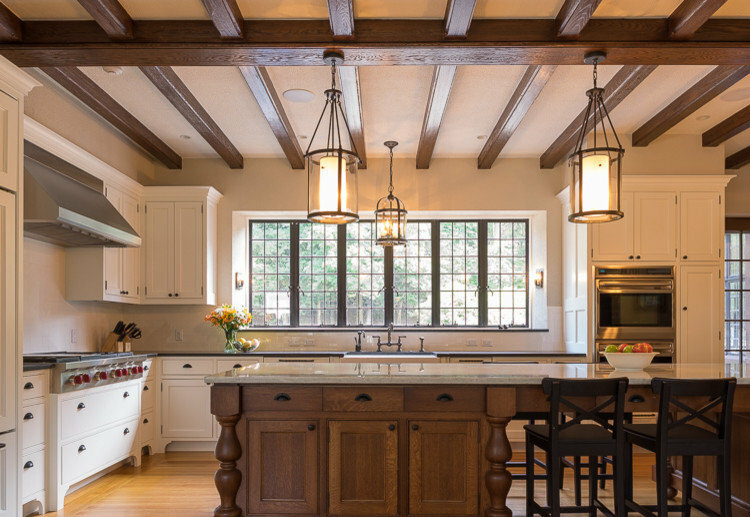 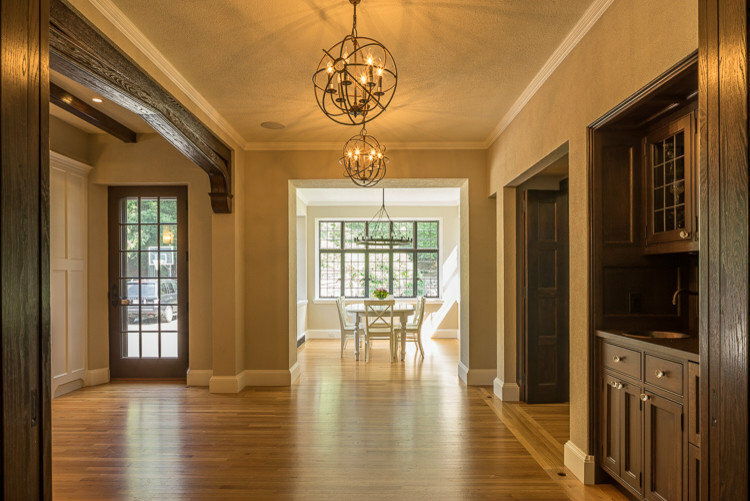 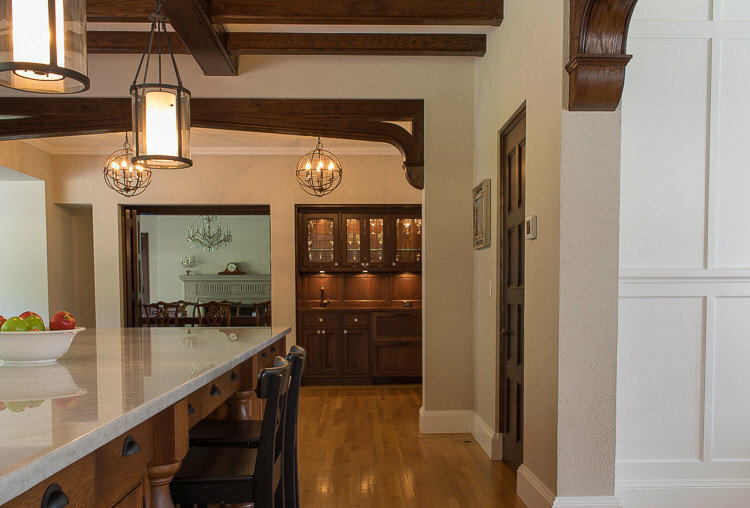 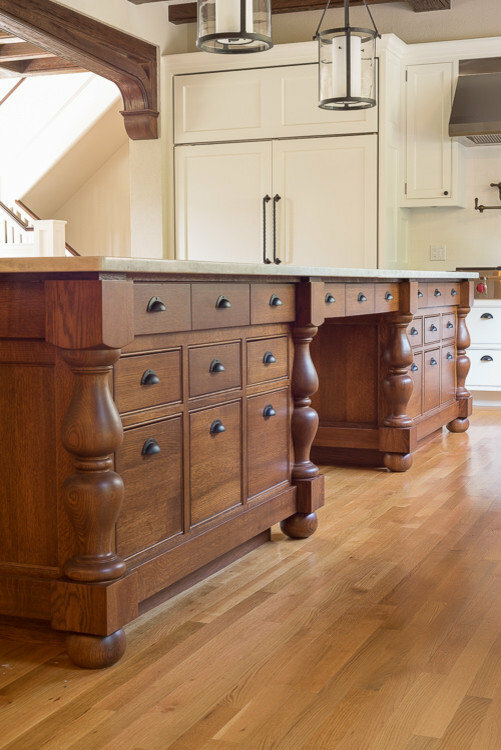 Kitchen features our hand carved oak beams and replication of island from the Breakers. 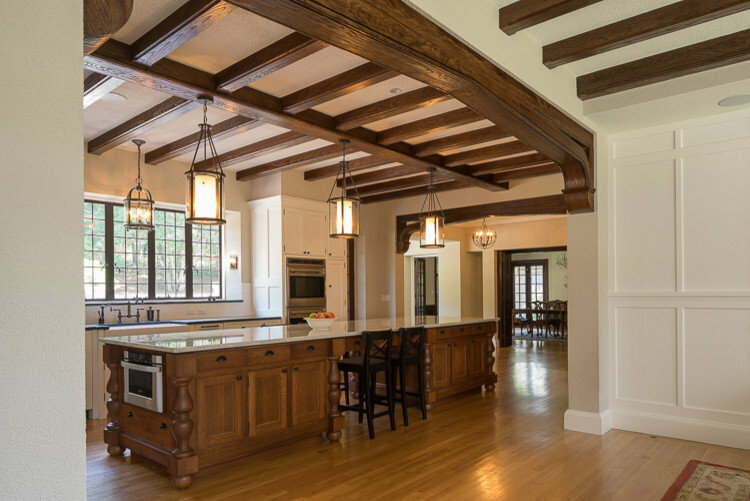 Custom beams, cabinetry and island.